Everyone has a blood type. Normally when asked, “what is your blood type?” we respond with a simple letter: A, B, AB, or O. But there are many more "types" of blood. One is Rh factor. The Rh factor is a type of protein found in red blood cells. If the Rh factor is absent from your blood, you are Rh negative. The factor was discovered 60 years ago and named after the rhesus monkey. After discovering the Rh factor, scientists published a small article in the New York Times in 1944. It didn’t seem like that big of a deal, until Rh negative patients started having problems. As it turns out, the lack of the Rh factor potentially causes trouble with birth and blood transfusions. Hemolytic disease, for example, is a condition where the immune system attacks an Rh positive baby if the mother is Rh negative. 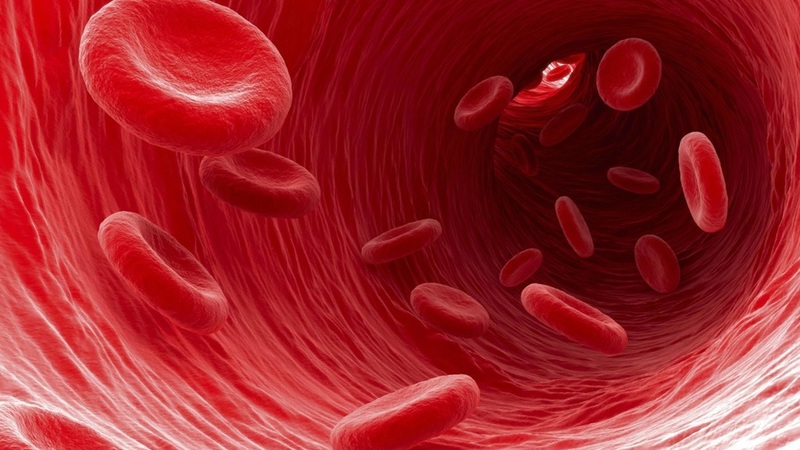 Artist's impression of what it's like inside your blood vessels. No Nephilim to be seen. Lack of understanding about what the Rh factor is has spawned many different "popular" ideas about why it occurs. The "Nephilim" view attributes the Rh negative blood to the Nephilim bloodline. If we break it down, fallen angels came down, mated with humans, and had half-human, half-angel offspring. According to the Book of Enoch, these fallen angels were rebelling from God and thus were evil and had to be destroyed. God sent the Flood to destroy the Nephilim and their offspring. Somehow, some Nephilim survive and continued to reproduce. We can recognize the Nephilim bloodline by the Rh factor. That's the Nephilim story, anyway. So what does that view think of people with Rh negative blood? If these Nephilim were evil, doesn't that make their decedents evil as well? In a study to find genetic links to sexual orientation, scientists found a high proportion of homosexuals were Rh negative. If you think that the Bible sees homosexuality as an evil, perhaps it makes sense: the Nephilim shouldn’t have survived the Flood and now their descents are going around doing detestable things. Neither of these ideas about Rh negative blood hold up to scrutiny, of course. In reality homosexuality is related to both genetic and environmental factors; nature and nurture, not just Rh negative blood. Scientists believe that the occurrence of Rh negative blood is related to a mutation that is more likely in European populations. In people with European ancestry, there is a 40-45% frequency for the Rh negative allele, while in other peoples the frequency is much lower (only 15% of the world overall has the Rh negative trait). But if the Rh mutation has negative effects (such as hemolytic disease), why does it survive in relatively high frequencies? It may be because it is actually beneficial under some circumstances: the Rh negative mutation has been found to protect against the parasite Toxoplasma gondii. This parasite can cause damage to the eyes, brain, and other organs if left untreated. The "mystery" of Rh negative blood has a strong appeal to those who want a supernatural story. Those who believe these stories have folded Rh negative blood into them, sometimes describing it as “the blood of the gods.” Scientists have made a great deal of progress learning about the Rh factor since it was discovered in the mid-20th century. Studies and experiments have shown that the Rh negative gene is understandable through natural science. Many people insist that ancient megalithic construction can best be explained by appeals to giants, aliens, or other supernatural phenomena. It is an old claim. A poem from around AD 960, The Ruin, tells of the “battlements broken, giant’s work shattered”. European traditions were known to attribute constructions like Stonehenge and Roman ruins to giants. The rock slabs at Stonehenge are big, weighing anywhere from four to fifty tons, and were moved from hundreds of miles away. Are supernatural giants required to explain how it was built? A new hypothesis by Dr. Andrew Young reveals prehistoric people or oxen could have dragged the slabs along wooden tracks lined with carved wooden roller balls. With only a team of six or seven people, they were able to move the same four-ton bluestones found at Stonehenge. 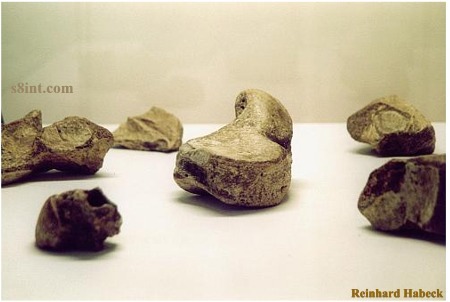 Ox bones were found at Stonehenge and appear to have been burned in some kind of ritual, maybe a sacrifice. The carved balls are not at Stonehenge because wood artifacts cannot survive in English climate for thousands of years. Hence, the idea that only giants could have created these structures because there is not “obvious” evidence of these wooden balls lying around for people to find. Another piece of evidence that giantologists can use is the supposed discovery near Durrington Walls, where people believe the builders of Stonehenge resided, of human remains between 6 to 8 feet tall. Upon investigation of the cracked bones and smashed skulls, the team concluded they suffered violent deaths possibly because they were outsiders to the settlement because they were so tall. Still . . . how would an 8' person be able to move a fifty ton rock when a 5'11" person could not? Experimental evidence has also shown that the large stones of Rapa Nui (better known as Easter Island) could have been moved by normal-sized people. In 2012, Terry Hunt and Carl Lipo, and archaeologist Sergio Rapu developed the idea that Rapa Nui’s Moai, the roughly 14 ton statues, were moved upright in a rocking motion. The bellies of the statues allowed them to be titled forward easily and their D-shaped bases helped them to move from side to side. An average of 18 people with only the help of some ropes could move a five-ton Moai replica a few hundred yards. The answer from indigenous peoples as to how the stones were moved is very clever: “the statues walked”. 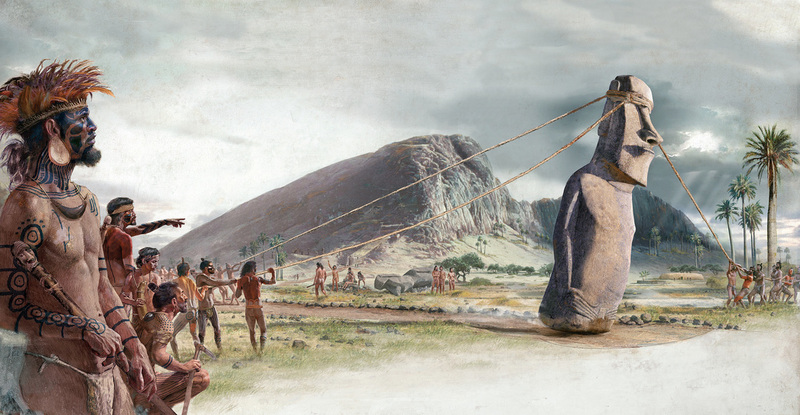 Artist's depiction of moving Moai (image source: http://news.nationalgeographic.com/news/2012/06/120622-easter-island-statues-moved-hunt-lipo-science-rocked/). In addition to experimental evidence, there are ethnographic accounts showing that normal-sized people, not giants, construct megalithic monuments with just ropes, wooden rollers, and a lot of person power. The West Sumba peoples of Indonesia are a perfect example of present day, normal-sized people moving these monuments with only the help of simple technology and a lot of people. Other examples of normal-sized present-day people capable of constructing these megaliths are the people of Nias, Indonesia and the Naga, India. Ron L. Adams worked among the peoples of West Suma from late 1990s to early 2000s. He explains in his paper the main reason why these people build these megalithic tombs is to display power and social standing. The Anakalang and Kodi areas are where most of these tombs show up. They are roughly 1.5- 3 meters high and some stone slabs can weigh over 30 tons. The size of a tomb is related to social standing of the tomb builder and construction is tied with accessing power within clan groups. The traditional method for transporting megalithic stones is to haul them from a quarry on wooden sledges attached with ropes, requiring 100-1000 people. This can take up to a few months to finish. The video below shows a stone in Sumba being prepared for moving. The activities of Wally Wallington provide another example of how it's possible to move large rocks with little technology. Wallington is a retired construction worker who is interested in building heavy rock structures with simple devices. In a video (embedded below) he demonstrates that he can lift a Stonehenge-sized pillar weighing 22,000 lbs. He moves all kinds of heavy structures just to prove that it can be done with simple technology. Wally is no giant from what I can tell. The default hypothesis is that all ancient megalithic structures were made with the hands of human beings and relatively simple human technology. There is no evidence that the Sumba people and Wally Wallington are giants or need help from giants and and their supposed advanced technology. If people of the present can move and build these structures, it seems that people of the past were fully capable as well. Or, to believers of giants, am I just giving them too much credit? The people who believe in giants don't actually try to falsify their theories but demand time and time again that people of the mainstream academia are just lying to us and keeping secrets from the world. And yet there is no real evidence that people in the past were giants or were using any kind of "advanced" technology and plenty of evidence that normal-sized people in the present can build megalithic structures. I’m not here to tell you whether giants are real or not real. Rather I'm going to discuss a single piece of evidence related to claims about giants: the suit of armor on display at Schloss Ambras. Real armor made for a real man in the 15th century"
​There is little information about Bartlmä Bon online. I found that he was from Riva del Garda in Trenten, Italy. He served as the archduke of Tirol Ferdinand II., who served Rudolf at Ambras Castle near Innsbruck, located in present day Austria. He accompanied Ferdinand’s nephews at the royal tournament in Vienna in 1560. His armor is indeed housed in the Ambras Castle museum (Austria) and is on display for anyone visiting the castle to see. 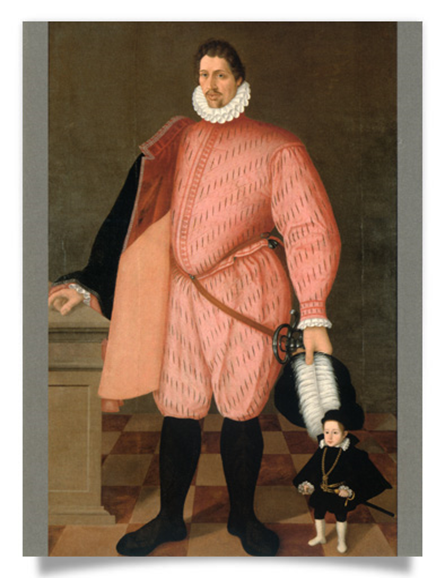 Bartlmä Bon was the tallest man known to exist during the 16th century; however, this does not mean he was a giant. Typical of many pictures online claiming something about giants, there is no scale next to the giant suit of armor. 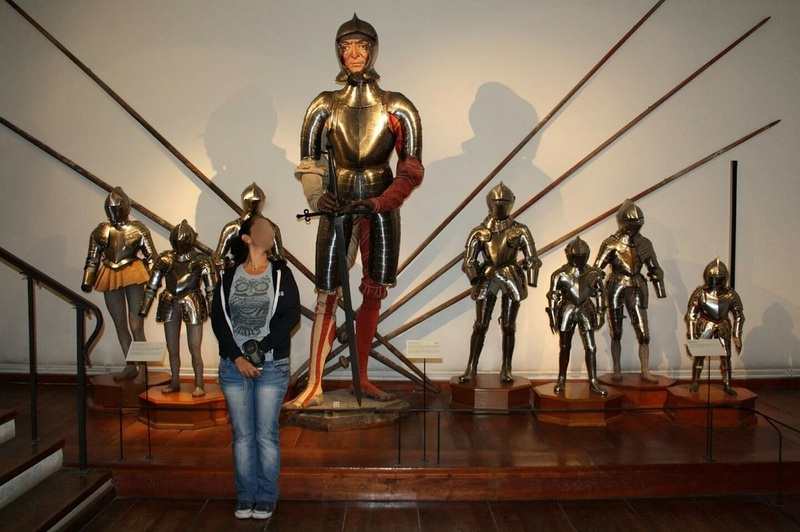 I searched online and found someone who had actually been to the Ambras Castle and asked her about the armor. She was glad to help in my search for the truth. She sent me the picture you see below with a person standing next to the armor. She said that her friend is 1.65 m tall (about 5'4"). 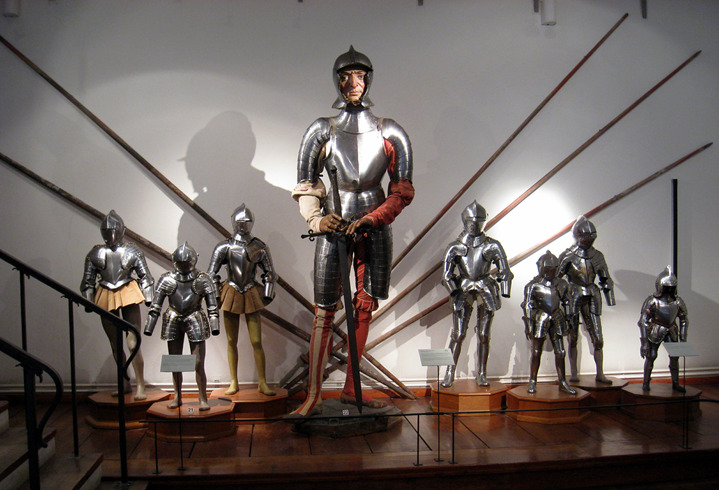 With a normal-sized person for scale, it's obvious that the impression of Bartlmä Bon's armor as "giant" is enhanced because the museum has surrounded it with suits of armor made to fit children and (perhaps) very small adults. My informant confirmed that the armored mannequin is indeed 2.60 m tall (about 8'5"). Some sources put Bartlmä Bon's height at about 2.35 m (about 7'9"). Why the discrepancy? Perhaps the armor in the 16th century was not yet advanced for a perfect fit and had to be bigger than the person wearing it. And perhaps the mannequin is just too tall: you can see that there are no lower leg components to the armor and the helmet seems to be perched off the shoulders. Bartlmä Bon is thought to have posed for a painting around 1621 beside a dwarf named Thomele who measured 65 cm (about 2'1"). At 7'9", Bartlmä Bon was a big man, but not some kind of supernatural giant. The tallest man living today, according to the Guinness Book of World Records is Sultan Kosen who lives in Turkey and measures 2.51 cm (about 8'2"). The tallest man in medical history, according to the Guinness Book of World Records, is Robert Pershing Wadlow, born in Alton, Illinois, USA in 1918. When last measured in 1940, Wadlow was found to be 2.72 m (8'11"). These people, and dozens more, have been recorded by a reliable source in the last 100 years. If a reliable source like the Guinness book of world records can find people this tall in the last 100 years, then this shows us that there are people in the world today that are this tall and there were probably people in the past measuring these heights, like Bartlmä Bon. The Schloss Ambras castle giant is not really a "giant." Bartlma was just a tall man compared to the average height of a person at that time. The average person’s height in Austria is 5'10". ​People believe in giants for a variety of reasons. Some think that the existence of giants would prove the Bible to be true. Others believe that the government is covering up evidence of the giant bones to protect evolution theories. One of the most fantastic tales that I’ve heard is that the military is covering up evidence of giants because they are developing and testing giant super soldiers in secret underground facilities. Bartlmä Bon is not good evidence for any of those claims. Self-described "spiritual archaeologist" Klaus Dona presents himself as the original skeptic. In interviews (such as this one) he outlines a narrative of himself as a wide-eyed innocent, constantly beset by the amazing discoveries and earth-shattering revelations that rain down upon him. What he has to tell us will forever alter history . . . if only the government of (insert chosen artifact’s country of origin here) would stop its close-minded disbelief and/or active suppression. Dona claims to have examined over 3,000 ancient artifacts that mainstream academia rejects. He briefly displays several hundred in his traveling exhibit titled "Unsolved Mysteries” (part 1 can be seen here). Among other things, Dona has cobbled together a version of human history that incorporates an ancient, global race of high tech giants that created sophisticated structures, tools, and technology more advanced than today. Throughout Dona's presentation (there are several versions that are very similar - e.g., here and here), he makes a jumble of vague claims to attempt to link together his collection of artifacts. The slideshow jumps around a bit and his artifact dating can fluctuate from show to show ranging from an off the cuff “15-20 million years old” to 17th century C.E. His typical claims related to giants include reference to oddly shaped skulls, photos taken of a grouping of "giant bones" from Ecuador, a bit about a 3-meter-long red-haired skeleton in Utah, and representations of "giants" in art. Skulls in a glass case shown by Klaus Dona. Dona claims that numerous doctors and scientists have studied these skulls, but he neglects to mention them by name. He tells us the skulls are from Malta, but does not reveal a region or site name. He can provide no archaeological context for the skulls, there are no pictures or records of how they were found or by what process they were excavated. In short, he provides no relevant information regarding these skulls or their origins. What we are offered instead is Dona’s description and hypothesis including his statement that “The picture on the top shows you the skull of one of these skeletons and it looks like it is deformed. But definitely these skulls are not deformed, they are naturally styled like an egg.” In the absence of any additional information, the claim is simply an unsupported assertion. Another of Dona’s keystone pieces of his case for giants begins with a photo of several bones on a table. There isn’t much to glean from the pictures: the image quality is poor and there is no scale to indicate size. Dona begins by sketching the background of the "discovery:"
'I got this information, I got another information, and finally, in Ecuador, I got from the family of Father Carlos Vaca, who found 1964 the broken bones of a 7.6 meter giant”. The story goes that the townspeople who found the bones called their local priest, Father Carlos, to come to examine the bones. Dona tells us that because Father Carlos had spent some time working in a hospital, he is qualified to identify human remains. Dona then claims he conducted unspecified research with an unnamed specialist and they subsequently confirmed these to be giant bones because they were “at least exactly five times bigger.” Dona tells us the bones are from Ecuador, but neglects to identify the region or site. 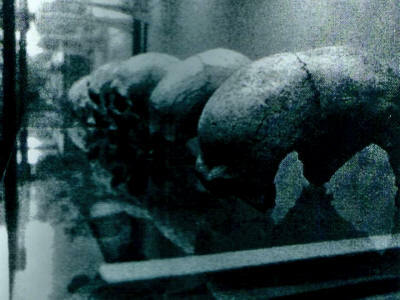 "Giant bones" from Ecuador discussed by Klaus Dona. The ability to extract DNA, of course, depends on a number of factors and there is no magical cut-off at 10,000 years. While these bones from Ecuador are touted as Klaus Dona’s definitive proof of South American giants, there just isn’t enough information to confirm the remains are even human, much less confirm that they belonged to a 7.6-meter giant. We run into the same issue again with his claim of a red-bearded giant in Utah. This time Dona offers even less information. Dona clicks a photo of a carved stone on the screen and goes on to state that a 3-meter skeleton of a red haired man with a sword and armor was found in Utah. I could not find any further information about this claim: it appears to be merely an anecdote. It is a story he tosses into his show without a shred of evidence to prove it, seemingly banking on an image overload for his audience. If you’ve made it this far into his presentation maybe you're satisfied by the sheer number of claims rather than the quality of those claims. Dona also uses art to bolster his case. He presents a photo of a sculpture he claims is from somewhere in west Africa. The sculpture features an oversized man riding what looks to be an elephant and from this he states that “even in Africa, every tribe has legends of giants.” No additional information is provided about the statue: we know nothing about its origin or how it came to be in Dona’s collection. Without context, provenience, or even basic information about its composition, viewers are left with little more than Dona’s word that the photo is of an archaeologically significant object. He seems to be claiming that because this one statue was found somewhere on the continent of Africa, every tribe that ever lived in that vast and diverse continent has a shared legend of a race of giants. To base such a sweeping claim on nothing more than a single carved statue is an insulting oversimplification. Regardless, he recycles this logic later on and eventually states that every culture around the world has a legend of giants. "The physician who measured the bones is said to have made the statement that two of the skeletons were of unusually large persons." There's not much discussion of the Branch County giants on the internet, which is understandable since there's not much to go on. One of the few posts referencing the remains, titled “Large Skull Branch County, Michigan,” but the URL refers to Indiana and they cite a book focusing on the Ohio Valley. It’s nothing more than a short re-hashing of Wilbur Cunningham’s (1948) research on the 1906 incident with a few vaguely related pictures, none pertaining to the incident itself. This post presents information from a "new" source (a 1906 local newspaper article) and compares it to Cunningham’s (1948) report. The year 1906 falls towards the end of a giant craze within the United States and yet there seems to still be quite a few discoveries from this period. In Omaha, for example, they discovered a skull that a Professor Henry Osborn of Columbian University believed to predate the Lansing skull, meaning that the Omaha skull would have been over 150,000 years old. In the same year as these discoveries, Clark L. Burch discovered multiple skeletons in a mound on his property, some of which were declared to be the remains of giants (or at least very large men). Artifacts found at Burch site, photographs from Cunningham's (1948) report. After carefully unearthing the skeletons, Burch roughly estimated the height of one of the skeletons by comparing the length of, (presumably) the femur and the tibia on top of each other against his body. Burch reported to The Courier that the femur reached his vest pocket. Based on this exercise, Burch estimated that the two skeletons must be around nine feet tall each. 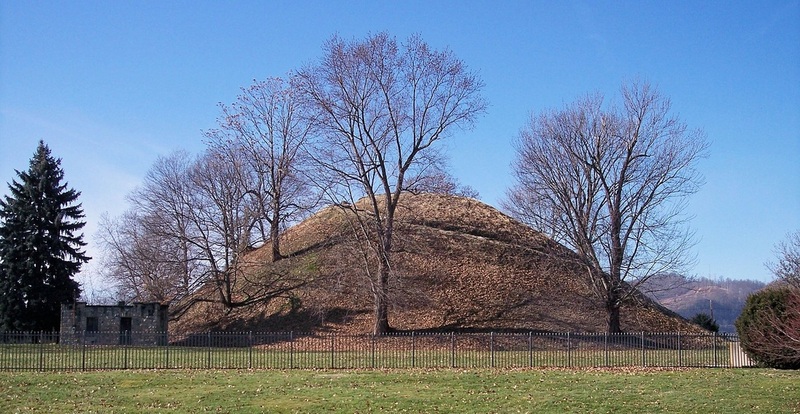 At some point, the remains were moved into Burch’s house and examined by a Dr. Gamble who thought of himself as “something of an archaeologist.” Dr. Gamble proceeded to announce that the remains were several thousand years old. Beyond the estimated age, the newspaper article gives sparse details of the two skeletons in question. One of them is reported as missing several teeth. In contrast to that, the other is reported as having thirty-two perfect teeth and a larger-than-average jaw. The article goes on to mention that the skeletons were buried with several different types of artifacts, including beads and sandal-sole gorgets. While in Coldwater in the 1940's, Wilbur Cunningham tried to trace the history of the 1906 discovery (the keyword here being "tried"). The doctor who examined the bodies, Dr. Gamble, was dead. The photographer who accompanied Dr. Gamble? He told Cunningham that although he remembered documenting the remains, the photographic plates were destroyed and he didn’t believe that there were any remaining copies. The real kicker is this: after Dr. Gamble examined the skeletons, they were, for the most part, dropped in a corn crib and left there. Sometime between 1906 and when Cunningham visited the Burch farm, the building burned down. Of the skeletons dug up from Burch’s mound, Cunningham was able to get one of the skulls examined. The skull in question was recorded as missing its lower jaw. It's unknown whether or not this was one of the "giant" skulls. Along with having the remaining skull that could be located examined, Cunningham also interviewed Clark Burch about the 1906 discovery. For the most part, his account matches up with the account that he gave in 1906. There is a section in Cunningham’s summary of his interview with Burch that stands out as odd, however: Burch while discussing the skeletons mentioned that one of them happened to have a "double row of teeth" (taken as evidence by today's giantologists). Cunningham dismisses this as a similar thread in many other accounts of giants and theorizes that the double row of teeth may have just been irregular spacing. Although Cunningham’s explanation is a neat one, the 1906 article shows that it isn't correct. Within that account, the author mentions that one of the skulls (the one with the abnormally large jaw) has "32 perfect teeth, not one of which shows a sign of decay." That’s exactly the right number of teeth to make two perfect rows of teeth, or a "double row of teeth" (see this post). It’s very likely that Burch was using an old idiom that Cunningham was unfamiliar with, simply describing that the skeleton had two healthy rows of teeth. Cunningham didn't understand the meaning of idiom, which had fallen out of use by the 1940's, and took "double row of teeth" to mean an irregular placement of teeth. At the end of things, here is what we have in relation to the Burch giant skeletons: a newspaper account, Cunningham’s survey of the site, a skull that may or may not be from one of the reported "giants," and a few artifacts that remained in the mound after the skeletons were removed.